Black hand enameled combination of hand-set clear swarovski crystals and large rhinestones in silver tone metal finish. RT1132. Holds a 5 x 7 picture. 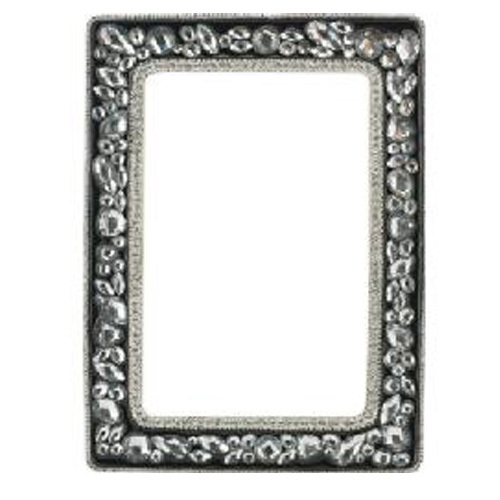 Frame Size: 6.75" x 8.75"